This post has been sponsored by Basic Invite. Are you celebrating a graduation in your family this year? Graduation is such a special time in a person's life. Whether it is a high school graduation or a college graduation, it is something that you definitely want to announce in style. 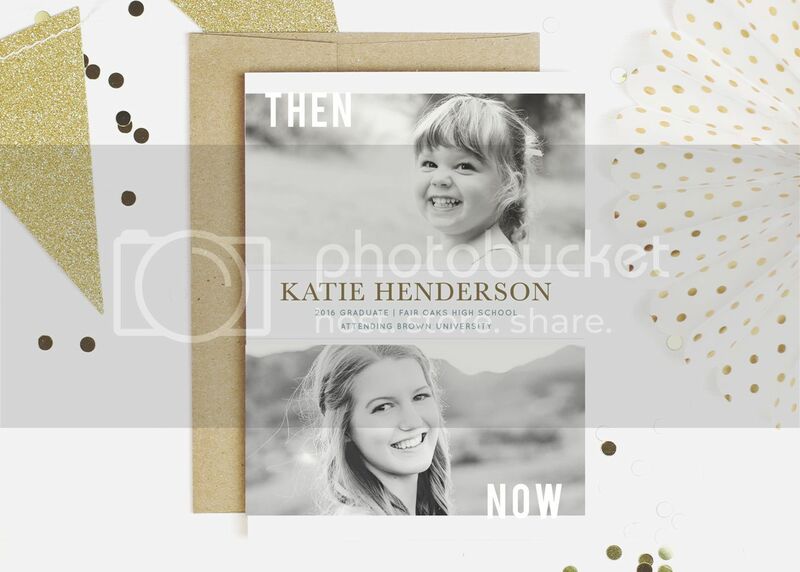 Here are five steps to help you order gorgeous graduation announcements. Tip #1 is to utilize templates! Don't start from scratch. 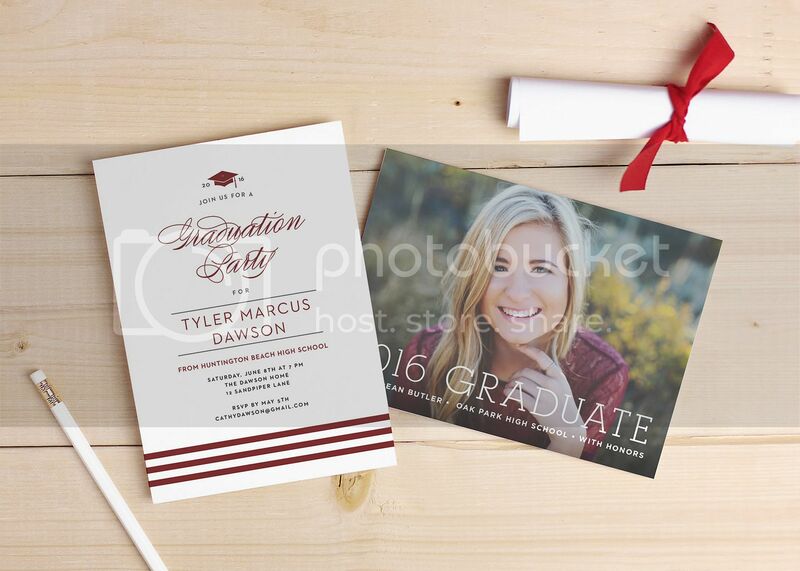 Basic Invite has pages and pages of graduation card templates to choose from. They range from classic to modern and everything in between. Look for one that fits your style you can add your photos, colors as well as text to make it perfect to announce your big day. Tip #2 is to include one or more photos that represent your personality. After all, you not only want the invite to be stunning, you also want it to be personalized. Using photos that capture your personality makes each announcement all the more special. Tip #3 is don't be afraid of color. If you have a gold and light pink themed soiree, then you can ignore this tip. But otherwise, don't be afraid of color. I love using bold colors (can you tell from my blog)?! I think it adds personality and really makes a statement. It can also look fantastic when you match your graduation announcement to the clothing worn in the featured photo. 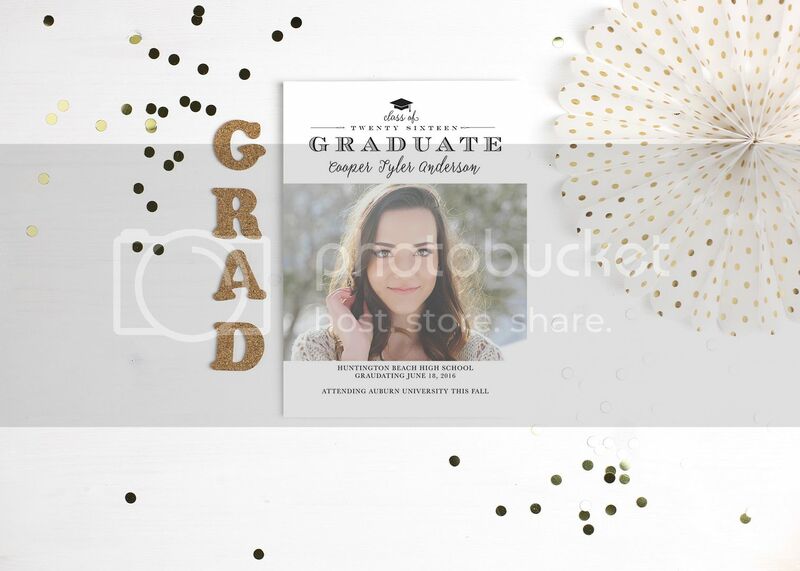 Basic Invite allows you to choose from over 160 color options, including gold and silver foil, to make your graduation invitations uniquely yours. No one offers a wider array of instantly pre-viewable color customization options than Basic Invite. Tip #4 is to include important information. I know when I receive a graduation announcement in the mail, I am often left wondering what the grad is going to do next. I love how this graduation announcement states that the grad will be attending Brown University. Also, how cute is the then and now pic? That is a really nice touch. Be sure to also include where you are graduating from, the date, time and location of the ceremony, and perhaps any accomplishments (honors, etc). Tip #5 is don't forget the envelopes! Basic Invite is a one stop shop. You can order graduation announcements, graduation invitations, graduation thank you cards, and envelopes too! Basic Invite's envelopes are just as colorful as their invitations. Customers can choose from over 40 different envelope colors so they can make their invitation stand out even before it is opened. All of their envelopes are peel and seal so the envelopes can be quickly and securely closed. 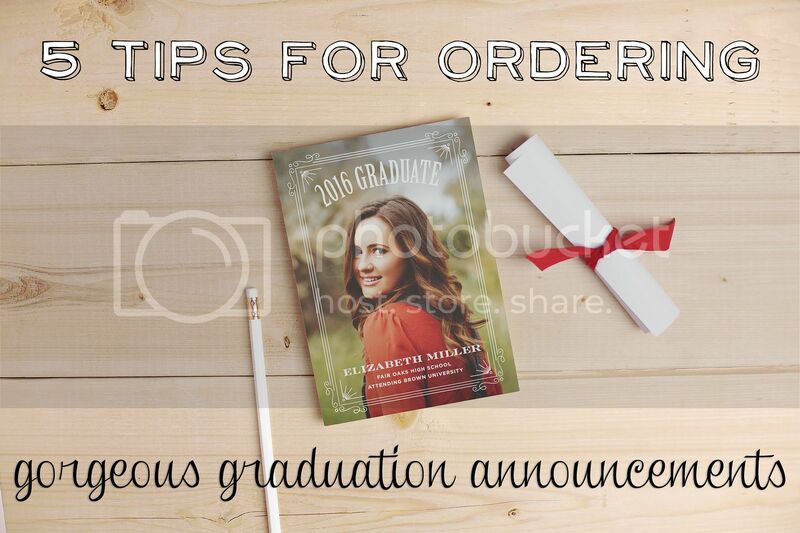 Once you have followed these five steps and have created the perfect graduation announcement, order a printed sample! Basic Invite is one of the few websites that allows customers the ability to order a printed sample of their actual invitation so they can see exactly how it will print as well as the paper quality before they ever have to place their final order. Connect :: Visit basicinvite.com to start creating your perfect graduation announcements. Connect with Basic Invite via Facebook, Twitter and Instagram.